If you still think that jorts (jeans + shorts) from 2006 make up your must-haves, we suggest an urgent wardrobe overhaul. And while you’re at it, dump those cargos and short-sleeve plaid shirts as well. For those wondering what would be the most appropriate summer wear then, Fendi’s new video titled Glitch Beach is your guide to nailing the easy breezy look. Their zip-up blousons, shirts, jean jackets and quintessential bermuda shorts are our favourite amongst the game-changers. The colour palette favours the skeptical male with khakis, creams, pale blues and light grays. But, those who have decided to join the adventure club, can play around with bright colours and rhythmical stripes. A must-own is the Peekaboo bag covered with tribal signs and the Selleria backpack layered with croco tails as talismans. Swap your flip flops for sandals and slides, and pick out these Beats headphones by Dr. Dre which come in Selleria and croco leather. 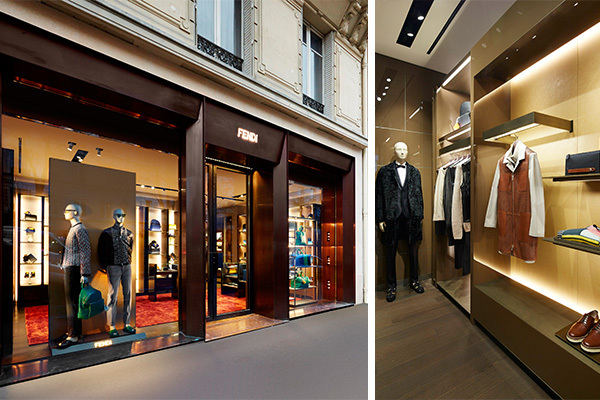 So, if you haven’t planned your summer vacay yet, make a trip to their newest stand-alone men’s store in Paris. And after you’ve stocked up on all-things-Fendi, you might as well hit the road, Jack!